… don’t you just want to leap headlong into it, to spread your wings and fly though it, to tumble in it over and over, to splash in it, to dream in it, to capture a wisp and take it home, to dive down into its depths, to breathe it in, to float on it while staring up at it, and, if you are me, to live in it? Blue is Freedom beyond our vision – Wonders, Mystery, the Heavens, the Oceans. 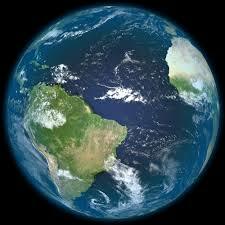 And even from the heavens the earth is predominately blue – ours is, after all, the Blue Planet. Blue plays a highly symbolic spiritual role in virtually all world religions past and present. The belief systems may vary, but the role blue plays within them has a strongly linked purpose, namely to represent our relationship to the unseen Divine. Blue is the colour of limitless vistas – of sea and sky; which is where many religions down the centuries have envisioned their gods to be, in the heavens or oceans, or atop mountains so high as to be out of sight. Blue symbolises eternity, truth, faith, peace, divine contemplation, knowledge, wisdom, compassion, serenity. And as befits such a powerful colour, it has proved extraordinarily difficult to reproduce. Blue did not take its rightful position in Western Art until the late 13C, when the very rare Lapis Lazuli started to appear in Europe. This intensely blue semi-precious stone could only be mined from one particular area in Afghanistan. Prior to this, any attempt at blue in art had been watery and ineffectual. 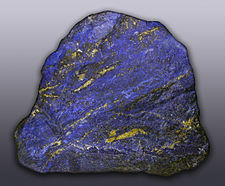 But the Lapis produced such a gorgeously rich blue pigment that it rapidly became a status symbol with a worth greater than gold. And they named this new blue treasure Ultramarine because it came from across the sea. In his series for BBC4, ‘A History of Art in Three Colours’, Dr James Fox makes the thrilling statement, ‘You can’t touch the blue’. His point is that blue is always the colour that is unattainable. How true – you can’t touch the sky, the horizon is always beyond our reach, the oceans’ blues disappear in their depths and seawater in a bucket is never blue. You can never hold the blue of sea and sky in your hand or save it in a box for later. I just love that idea. We are surrounded above and below by a colour we can never touch. Whether religious or not, Blue remains unattainable. Blue, the unreachable colour that clothes our Hopes and brings wings to our Dreams. Next Post Are You feeling … purple … red … orange … or perhaps … Blue? Interesting as ever. 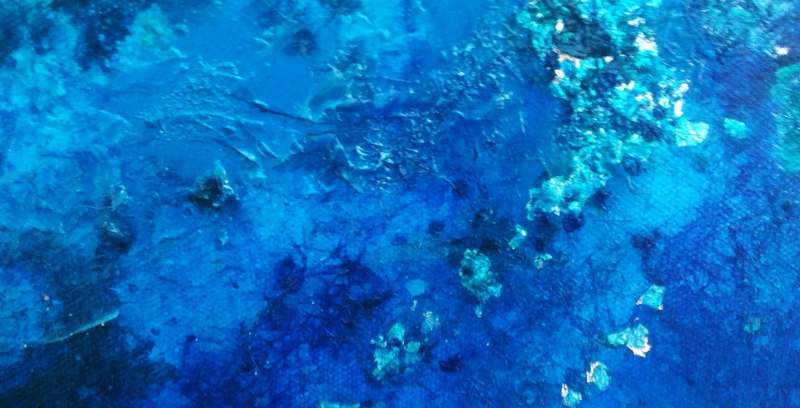 I have always loved the word ultramarine – it makes you feel calm just saying it. And one of the pleasures of living by the sea is that you have days of such blueness that you get swept up by your own possibilities. I wonder why blue is such a ‘safe’ colour – i.e. more men wear blue, I imagine, that any other. Do men think they’re divine? ‘Wings to our dreams’ now that is a beautiful phrase! I remember loving the moment when the cover was pulled off the swimming pool at school. Although I am a pretty hopeless swimmer, that rippling chlorine blue always makes me think of warm summer days, the smell of new mown grass and the arrival of the swifts. I absolutely love your painting;it’s gorgeous! I know. 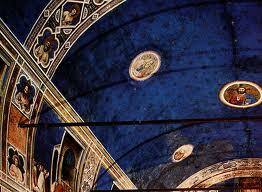 The more I look at Giotto’s work, the more amazing it becomes. He is called The Father of the Renaissance after all. ‘Swept up by your own possibilities’, what a wonderful phrase. Thank you. Blue is the world’s favourite colour, so may that’s it, but I think more likely Men do think they are Divine!! Thank you! I agree – I always love the sight of a swimming pool, especially when free of swimmers. That blue, rather like Giotto’s ceiling, beckons with potential. How wonderful and mesmerising is blue…This is so beautifully written Francesca, so true that .. ‘blue is freedom beyond our vision.’ Blue uncovering both amazing possibilities and vulnerability. Thank you, Ms Wolf, for that lovely and most perspicacious comment. I am interested in the vulnerability you mention. The next post will be just about that. You’re way ahead of me! Well, thank you for reading them both, Caroline – most generous of you. Yes, Vishnu – the blue skin always catches the eye because it is so remarkably not human, I think. Apparently, Vishnu guards over the universe and so his blue skin is a reflection of his limitless powers, just as the sky appears limitless. Good stuff, isn’t it?